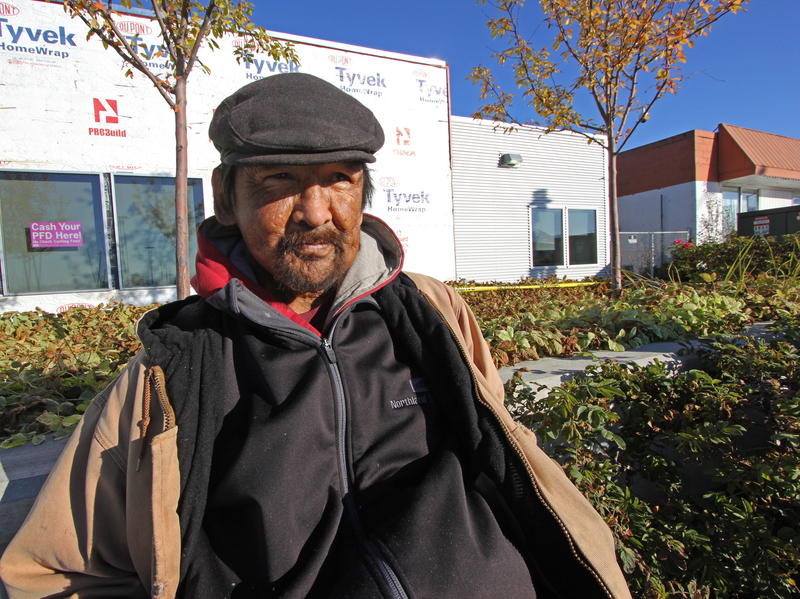 Sitting on the concrete wall outside the corner credit union on Mountain View Drive, 51-year-old Peter Kosbruck rested his leg and wondered when it would snow. He and his girlfriend had been sharing a tent near Davis Park, but they returned to the campsite a day ago to find all their belongings had disappeared. Four days ago, he twisted his knee so badly it became hard to walk. A week ago, he began sleeping outdoors after the friends who let him share their home on N. Park Street suddenly pulled up stakes and moved back to Barrow. Kosbruck himself comes from Perryville — he moved up to Anchorage about 20 years ago. Now, as the nights grow longer and the snow creeps down the sides of the Chugach Mountains, Kosbruck said he’s thinking about moving back south. He has a brother who still lives in the little town on the southern coast of the Alaska Peninsula; a brother who owns his own home and invited Kosbruck to come stay with him. With no place to go in Anchorage, the house in Perryville is beginning to seem like his only option. He said it’s just a matter of time. “When the snow flies, I’ll hop on a plane,” Kosbruck said.